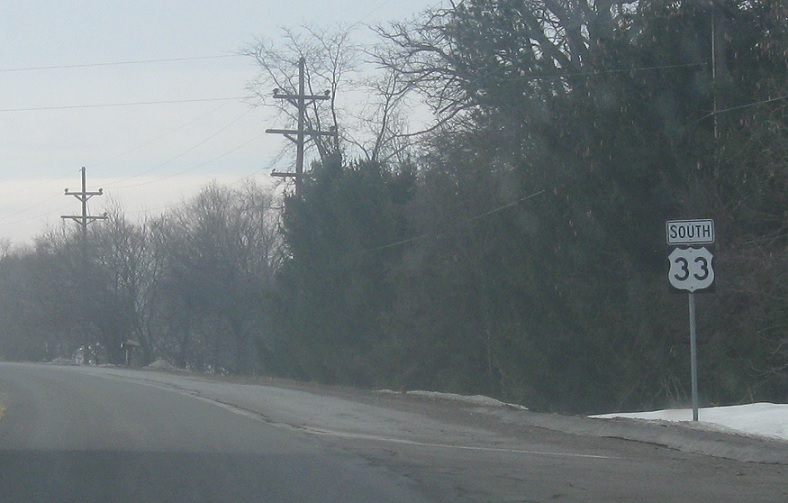 Reassurance shield as we head out of Churubusco. 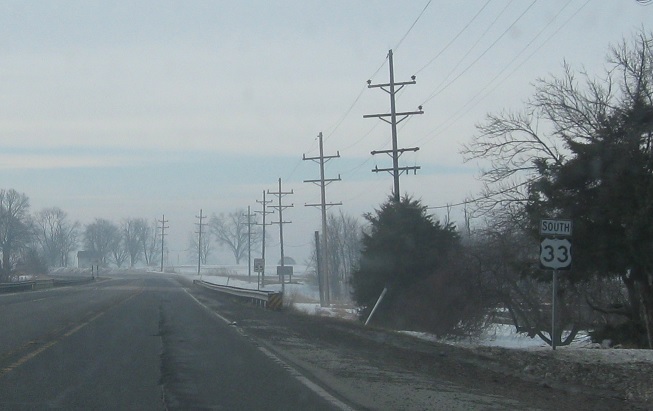 Reassurance shield a few miles later, after we enter Allen County. 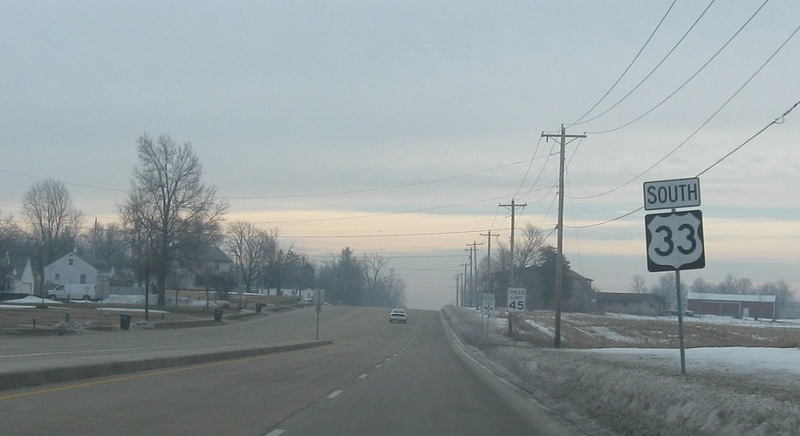 Reassurance shield as the road widens to four lanes and we enter Fort Wayne. 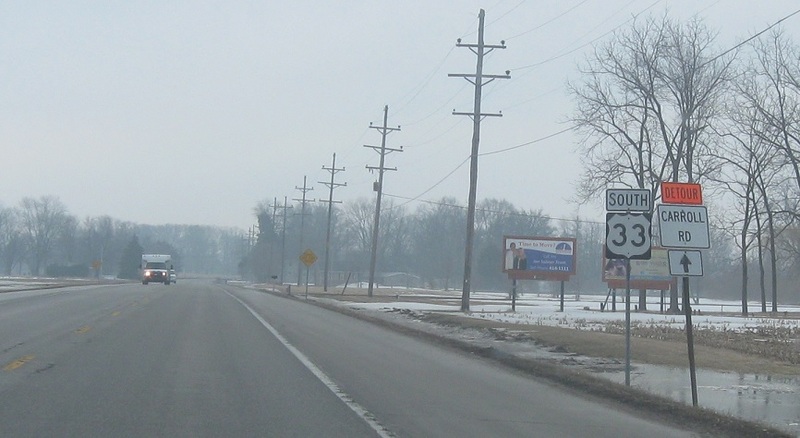 As we get into Fort Wayne, we’ll approach US-30 and then I-69. 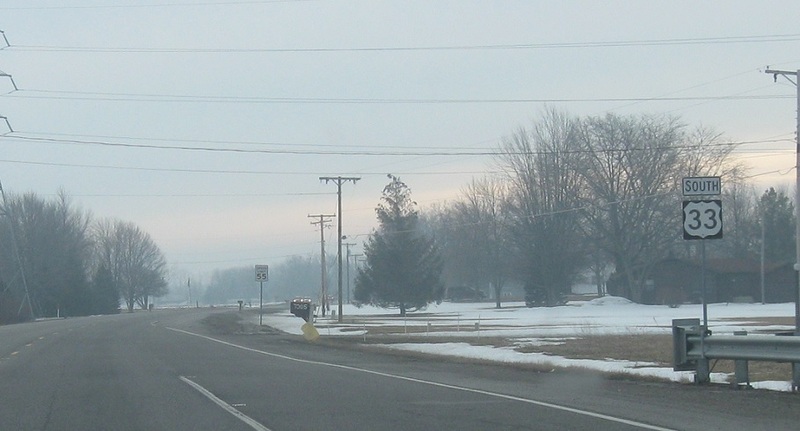 Exit ahead for US-30 west. 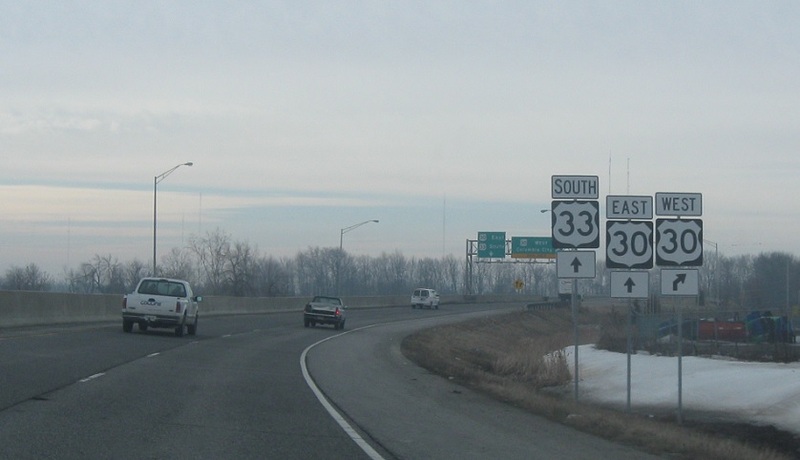 US-30 east joins US-33 south. 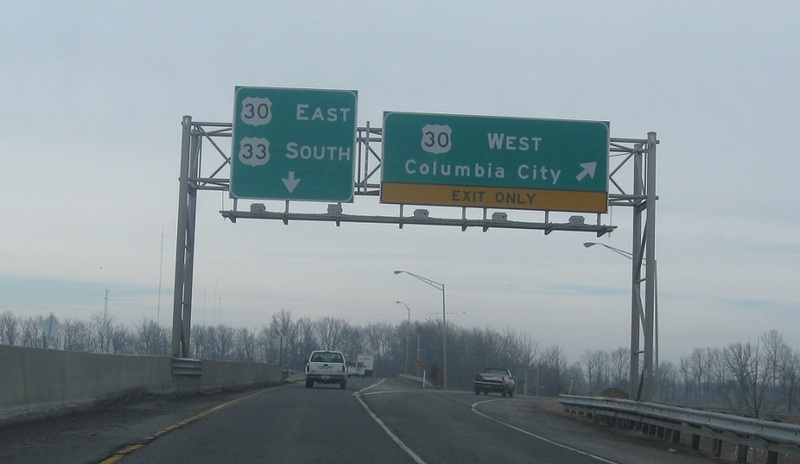 Exit for 30 west to Columbia City. 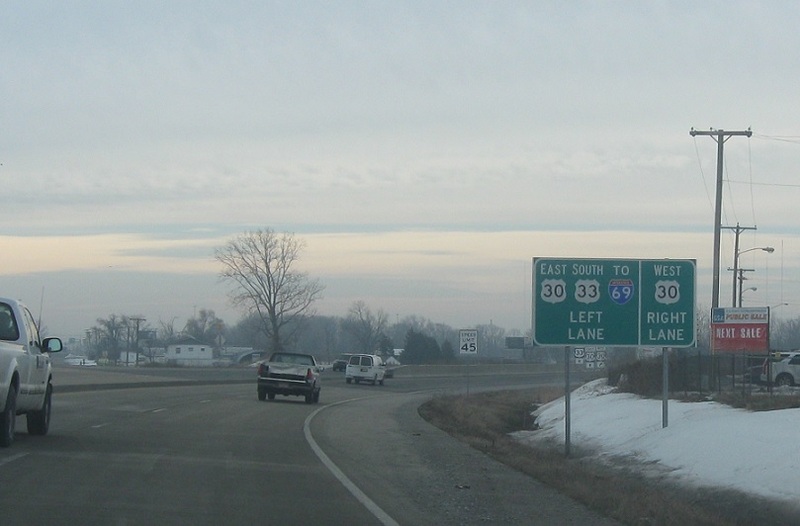 Keep left for 30 east/33 south into Fort Wayne.